Kometos Oy is participating again in the International IFFA No. 1. fair show for meat industry during 04. - 09.05.2019, in Frankfurt am Main, Germany. 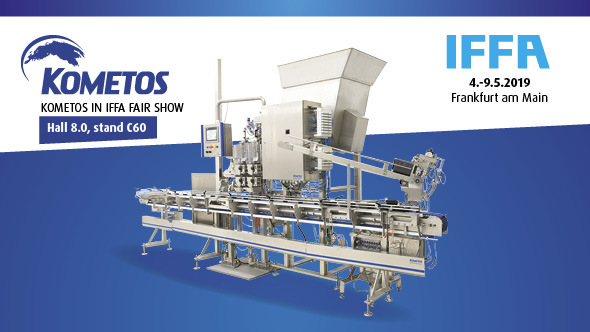 We are there with a joint fair stand with our German dealer Emil Müller GmbH & Co. KG. We are pleased to invite You to visit our stand in Hall 8.0, stand no. C60. 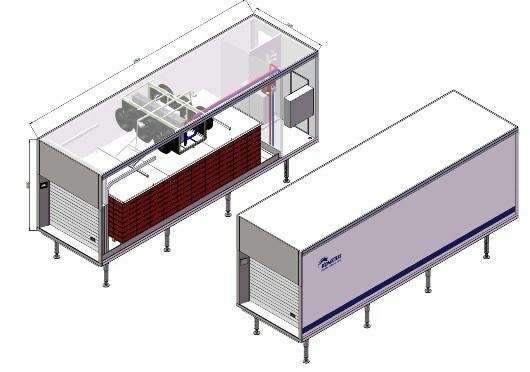 At the fairs we are introducing our Finncold products; thawing, stiffening, freezing and storage solutions, as well as Finntray products; tray packaging lines, dosing systems and multihead weighing systems. And of course also our Finmodules modular production plants. See You at Iffa –fairs! Read the latest Kometos Magazine! The latest Kometos Magazine is now published. It´s full of interesting topics - click and read! The delivery of Finncold MTM-1 thawing cabinet to the Saaremaa fish processing plant in Estonia. 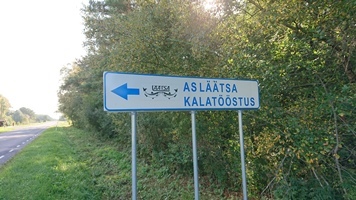 Läätsa Kalatööstus, the dynamic fish processing plant on the island of Saaremaa was looking for a suitable solution for thawing the imported frozen raw material for almost three years. "Checking the options available on the market took its time, but we finally decided on the Kometos Finncold thawing cabinet," says the CEO Toomas Aul. "The overall expertise and references of Kometos speak for themselves and are in a class of their own," he continues. "Today, a thawing cabinet is a must and has a huge benefit in the production management. 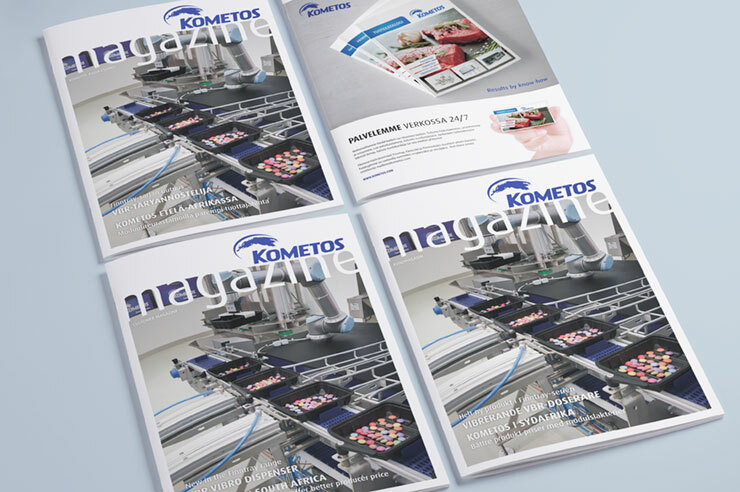 We considered the purchase here in Saaremaa for a long time and once we reached the decision, Kometos quickly delivered us the thawing solution, which was easy to implement". Kometos has a long and solid expertise in various thawing and tempering solutions and strong process management skills. The thawing cabinet assembly contains all the required technology including moisturizing solutions. Additionally, the Kometos Finncold MTM-1 thanks to its compact size can be easily placed in a lower than regular production space. Thawing system innovation includes a new advanced aggregate with bus-controlled EC-fans, which blowing power may be adjusted from 0 to 100%. The aggregate may turn the blowing direction, if necessary, in order to reverse the back pressure during the process, and achieve a smoother thawing result, especially when the target temperature of the product is on the plus side. For heating, the energy is used that already exists in the company, such as waste energy, hot water, steam. The system may also be linked to the company's glycol chilling system. In this way, the energy consumption of the process is only 10% of the normal energy consumption. The innovation has been test-driven and tested at our factory in Kauhajoki, and the first delivery to the customer will take place next week. In the future, clients travelling with a car will also be able to enjoy carwash services in Vaasa, as the land plot of the hypermarket will accommodate a modular car wash produced by Kometos, with two separate washing lines. Minimani operates in five regions. Vaasa is the first, where Minimani is testing its own car washing business. Branching out to the new territory was preceded by careful groundwork. "We discussed various options with several equipment and hall manufacturers. The combination we finally selected - the Kometos Finmodules premises and Prowash machines - proved to be the best alternative for us," Tynjälä tells. Tynjälä with his procurement team opted for FMA-TUPLA, which is an unmanned and fully automatic car wash solution equipped with two parallel washing machinery lines. The Kometos Finmodules car wash solution is completely modern and digital, as everything is run by a computer – general safety, payment arrangements and links to the building technologies and shopping systems. The preparations took a couple of months. The asphalt paved yard was ready, but the Finmodules car wash solution also requires building permits, water, sewer, grease traps and sand separators. In this case the client took care of the foundation and connections, following the instructions provided by Kometos. Kometos delivered the hall onto the ready foundation slab, installing the car wash machines together with accessories for on-site test runs. "We reckoned that the procurement would be profitable. The capacity of the equipment is more than enough: the two machines working at full capacity yield more than 20,000 washes per month," CEO Tynjälä estimates. › Read the latest Kometos Magazine! › The delivery of Finncold MTM-1 thawing cabinet to the Saaremaa fish processing plant in Estonia.